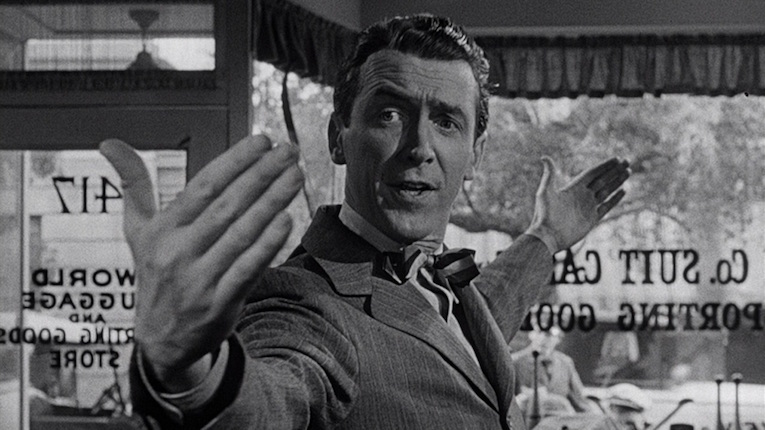 Seven years ago today, I went to a screening of It’s a Wonderful Life that was mistakenly framed by the projectionist for a wider aspect ratio than the film’s native Academy standard 4:3—resulting in lots of scenes where Jimmy Stewart’s forehead was cut off at the eyebrows. Yes, it’s a film that can be constantly reconsidered from various perspectives but that wasn’t a perspective I was looking for. Hoping for better things from today’s digital projection systems at the local Cineplex screenings this week. Merry Christmas! Monday (Dec 21) — It’s a Wonderful Life, Cineplex Park Lane & Dartmouth Crossing, 7pm, $6. Frank Capra, USA, 1946, 130 minutes. Tuesday (Dec 22) — Brooklyn, Cineplex Oxford, 4pm, 6:45pm & 9:30pm, ‎regular pricing discounted Tuesday, film continues through Thursday (at least). John Crowley, Ireland/UK/Canada, 2015, 112 minutes. — Spotlight, Cineplex Dartmouth Crossing, 10pm, & Scotiabank Theatre (Bayers Lake), 10:05pm, regular pricing discounted Tuesday, film continues through Thursday (at least). Tom McCarthy, 2015, USA, 129 minutes. Wednesday (Dec 23) — It’s a Wonderful Life, Cineplex Park Lane & Dartmouth Crossing, 7pm, $6. Frank Capra, USA, 1946, 130 minutes. Thursday (Dec 24) — It’s a Wonderful Life, Cineplex Park Lane & Dartmouth Crossing, 7pm, $6. Frank Capra, USA, 1946, 130 minutes. Friday (Dec 25) — It’s a Wonderful Life, Cineplex Park Lane, 4:30pm, 7:40pm & 10:45pm, $6. Frank Capra, USA, 1946, 130 minutes.